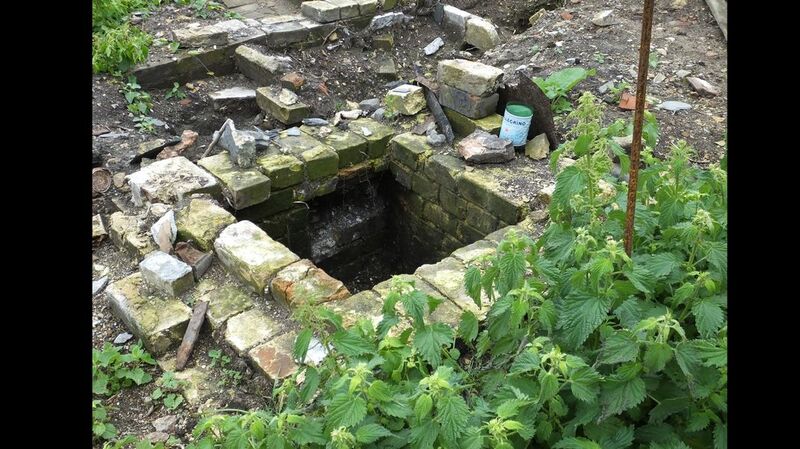 The feature known as the furnace was uncovered in June 2015 in the building area on the downstream side of the water wheel. 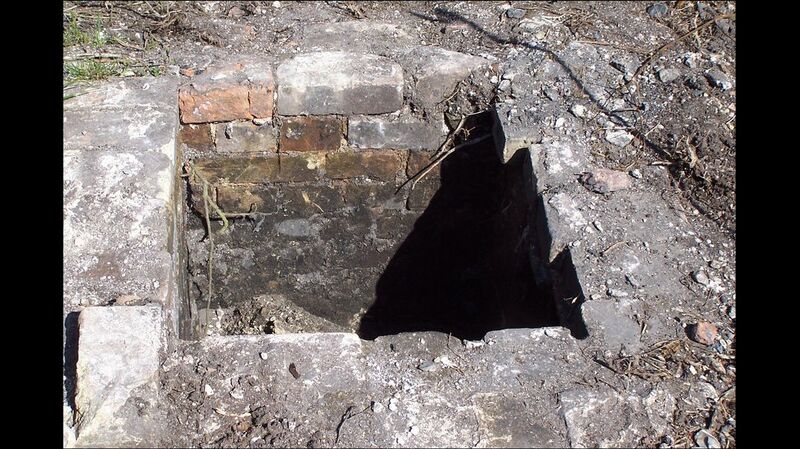 What we found was a square brick structure which was dis-coloured inside with what appeared to be soot. 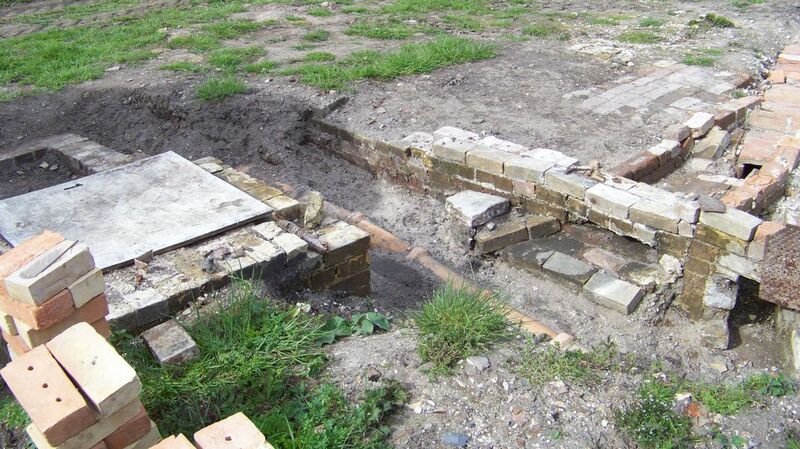 There was a brick channel leading to it which had been blocked off. 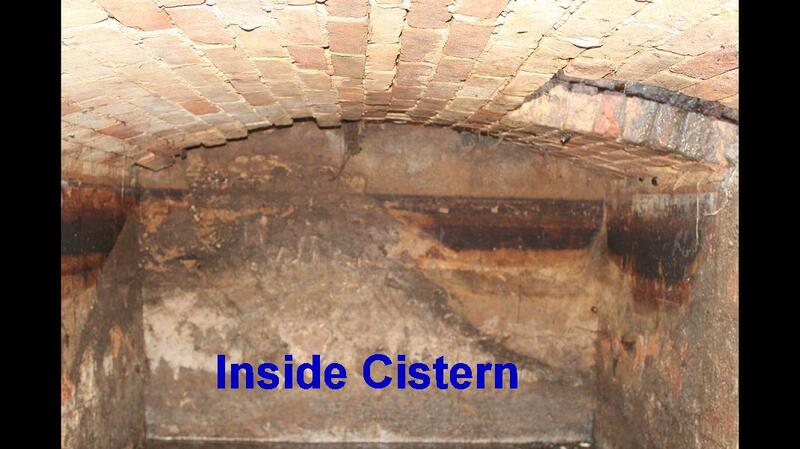 Pieces of clinker were found nearby and we believed it to be a furnace. 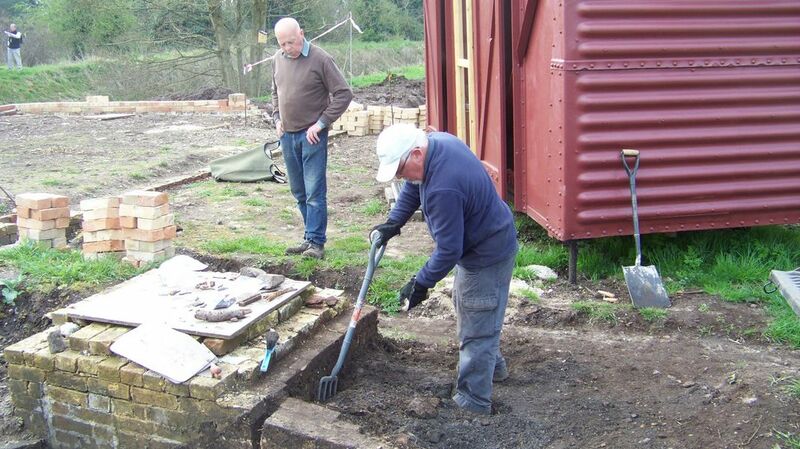 In 2016 John and Dennis (two of our volunteers) went on a course about Norfolk’s Industrial Past, the course notes showed the chimney from Appleton engine house. 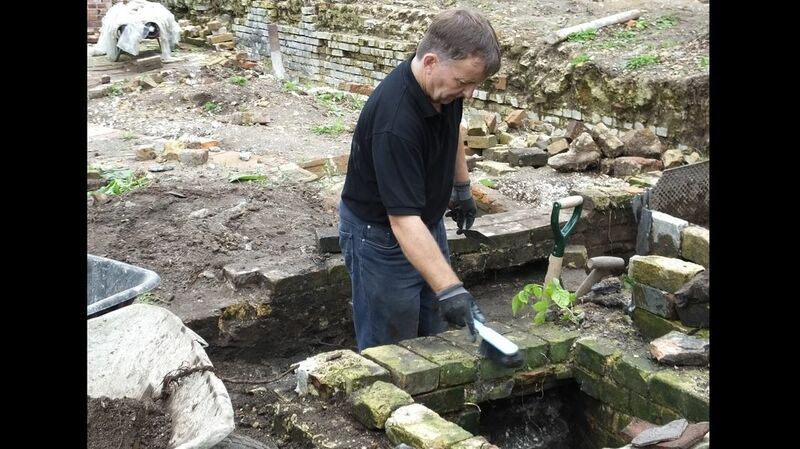 They enlarged the picture and counted the bricks and discovered the base was the same size and shape as our furnace, showing us we had the base of a chimney. 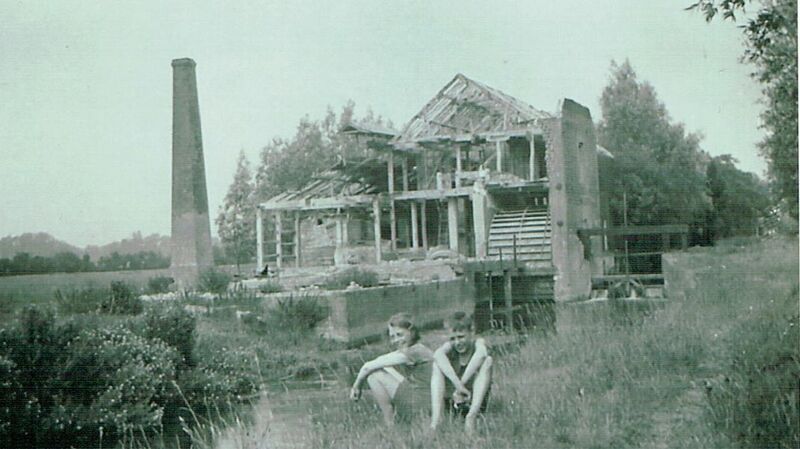 A month later the historic photograph turned up showing our mill partly demolished but with the chimney intact. 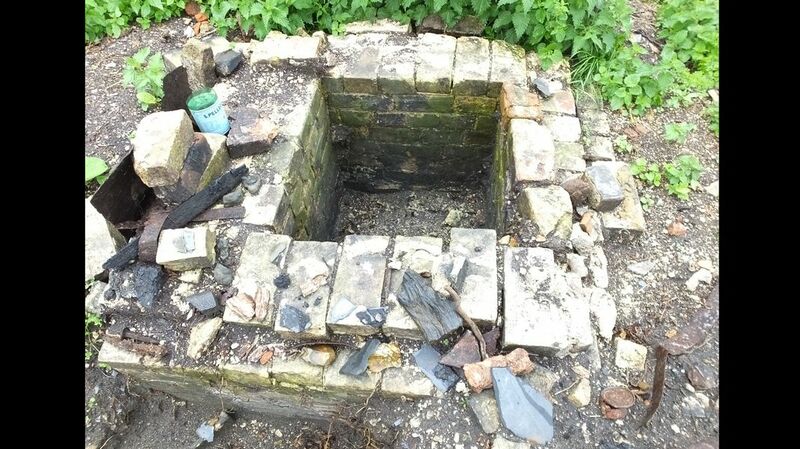 We previously believed there was a steam engine on site and the presence of this chimney, being the same as the Appleton engine, confirms this. 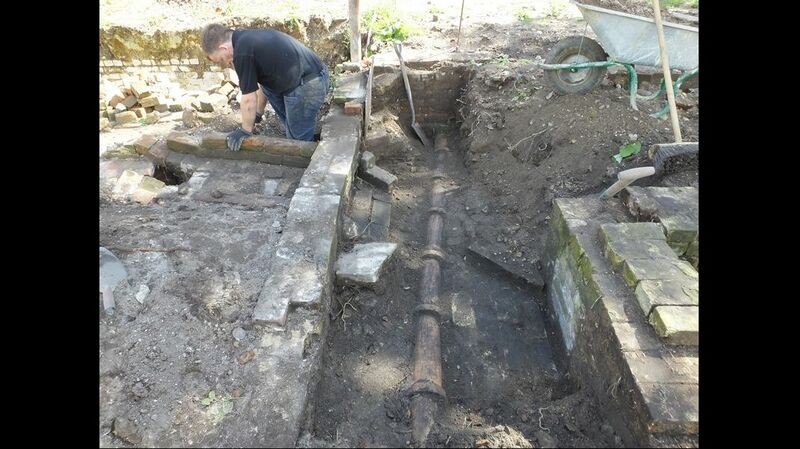 1 Narborough bone mill was extended part way through its working life, and it is unlikely the water wheel could have powered all the additional equipment as well as the grindstones. 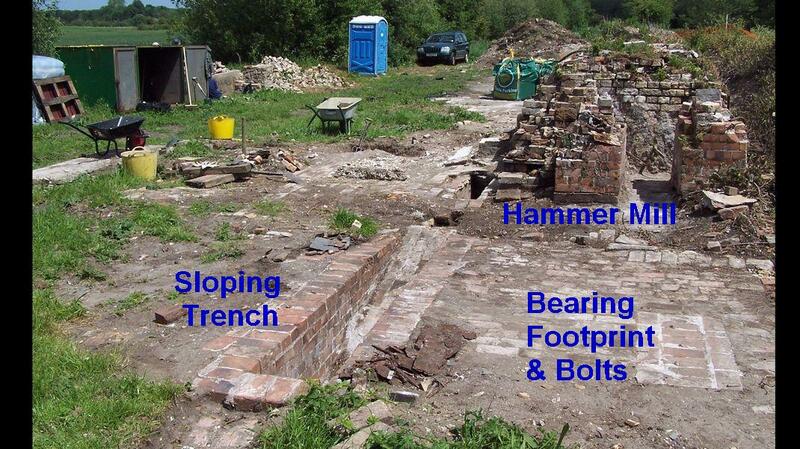 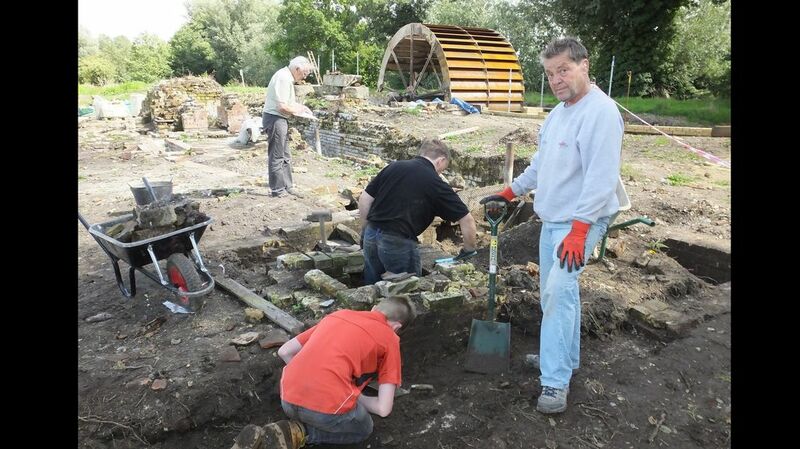 2 We also had features which looked as though an engine was used, bolts and marks that looked like bearing fixings, sloping trench shaped like a pulley belt, all lining up with the hammer mill base which we think was powered by the engine. 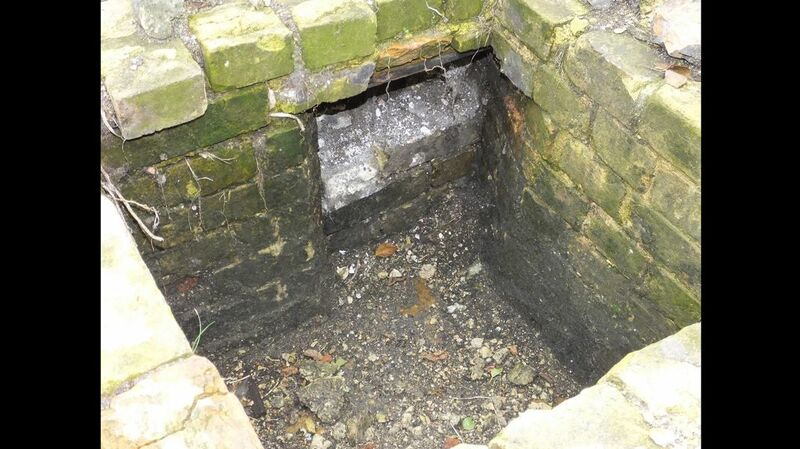 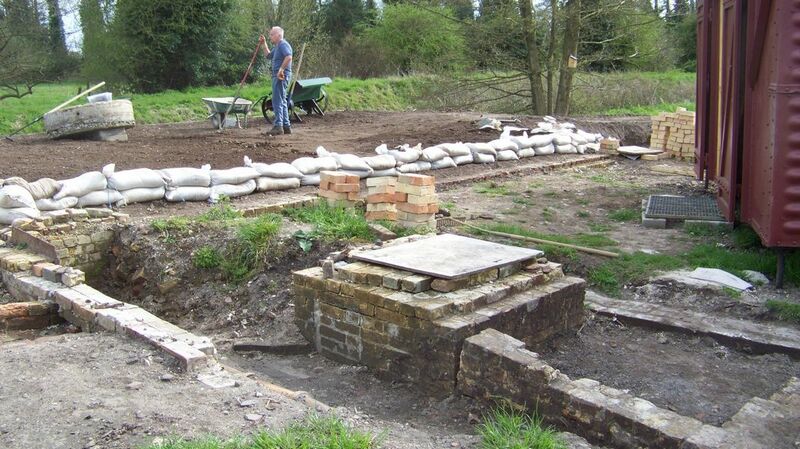 3 There is a cistern nearby which held a large volume of water which would have been needed to run a steam engine. 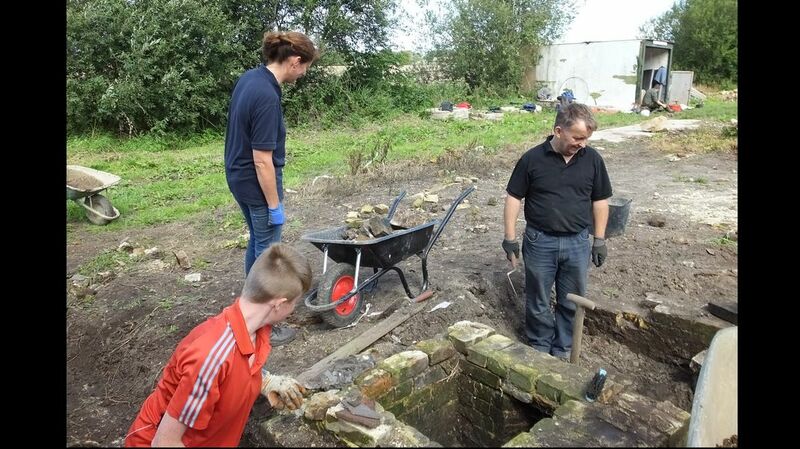 4 We have found coal among the soil in the chimney area. 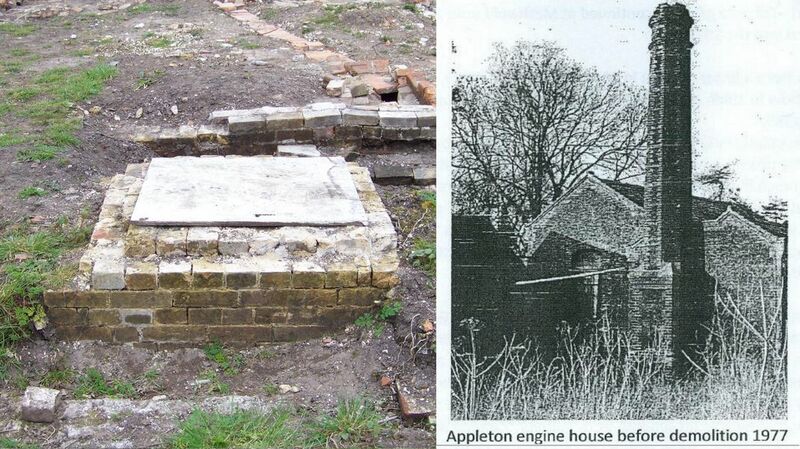 5 Engines were often used to supplement water power at other mills when river levels were low, eg when barges were passing through locks. 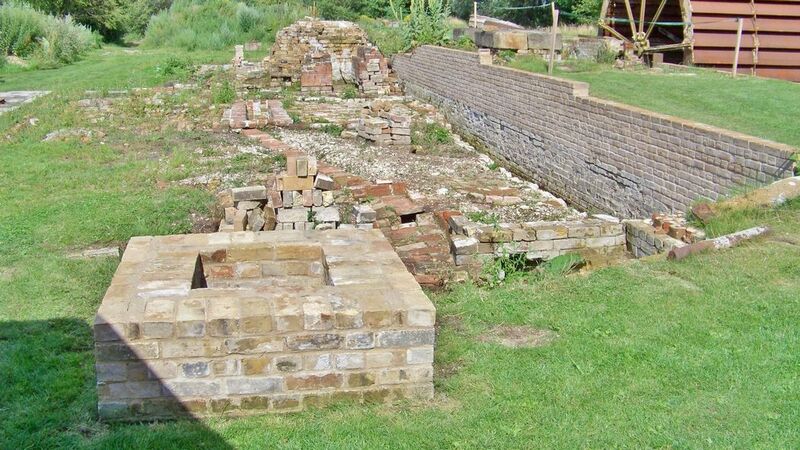 Narborough corn mill also had an engine. 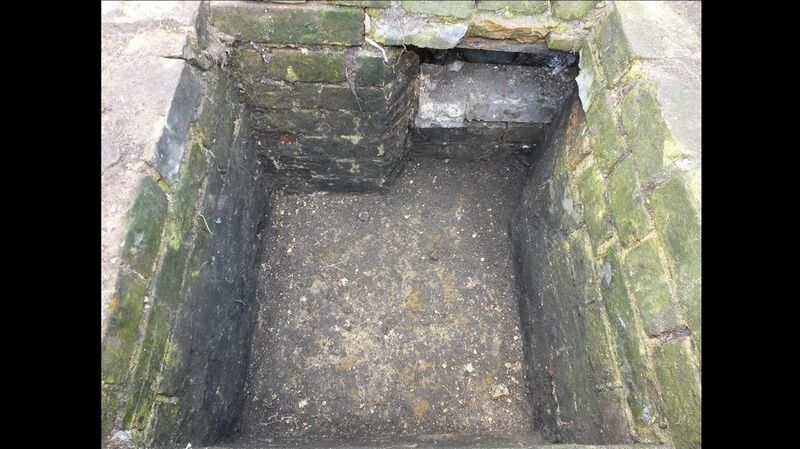 In 2017 additional brickwork was added to the chimney base to preserve the structure.